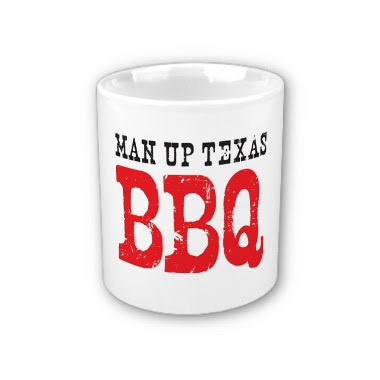 Man Up's Google Map is updated. Click here to see where we've been. 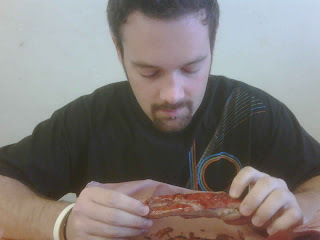 Jason and Rex visit Kreuz, Smitty's, and Chisholm Trail for lunch. So Rex and I ventured to Lockhart Texas this past Saturday! 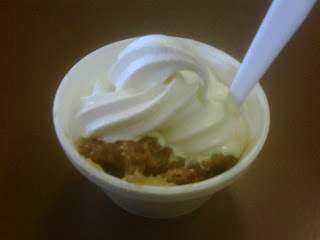 Lastly you know where I like to end it; the old Chisholm Trail for some peach cobbler w/ soft serve ice cream! 9.5 hit the spot nicely! It's been one year to the day since the blog's first post, and Year 1 has been greater than we could have imagined...actually, nobody was probably thinking it would even last a year, so I guess the bar wasn't set too high. Read the first post to see how it all began! Just back from a day trip to Boerne, where I hit up 3 BBQ joints on Main Street in the span of 2 hours: Bar D, Riverside Market, and Fritze's. Thoughts and pictures will be posted later. R.P. hits up Schoepf's & Johnny T's in one evening. Had to run to Waco this evening. So figured I better man up @ Schoepf’s & Johnny T’s while up this way. Can't beat new atmosphere of Schoepf’s. They actually had a bluegrass country gospel jam session going on back patio. 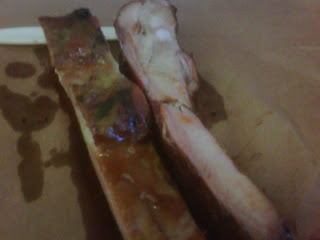 Their pork ribs r mighty flavorful but could be meatier. Brisket is tasty even if not really my style...a bit roastish. Johnny t's provided a southern style home cooking surprise. Very flavorful and well marbled moist brisket. Mighty fine pulled pork and spicy apple slaw. I think we need to give this place future consideration for an official visit. It may well be a hidden gym in that A- to B++ type range. 2. Russell hits up Schoepf's and Johnny T's in one evening. 6. Jason and Rex travel to Lockhart. 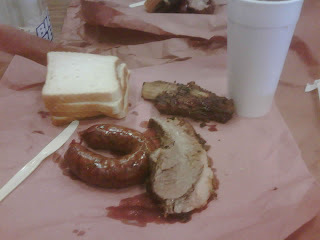 We're back from our first trip to Milt's Pit BBQ in Kyle, Texas, and it was a banner day. 15 came out, beating our previous record of 13. Review and pics later. Time running out on t-shirt discounts!!! 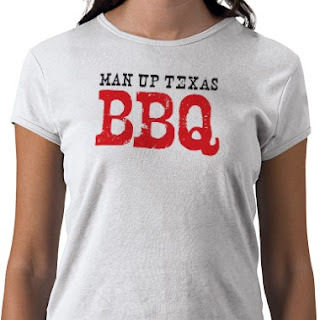 Reminder: Man Up's t-shirts are $3 off, thru Sunday, August 23, at 11:59 PM (Pacific). Use coupon code BTSTSHIRTS09 at checkout. There are a bunch of shirt styles, all with multiple color schemes, so customize the shirt(s) you want, and order while they're reduced! 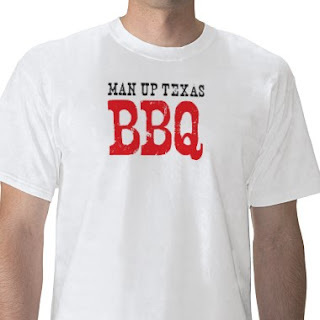 Man Up heads to Milt's Pit BBQ in Kyle, Texas. After putting the briskets in at 7:45 am and smoking them in the Texas summer heat for 12 hours (on, for me, 4.5 hours of sleep), we were exhausted by the time the party started. 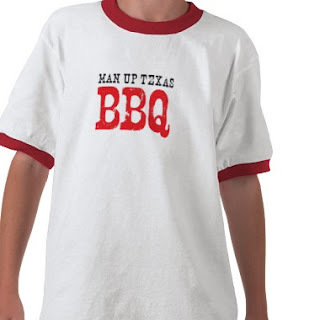 I have even more respect now for the pitmasters and grillers who do this day in and day out. I also have newfound respect for anyone whose job it is to keep other people entertained, especially those without a script. It wasn't easy. Hope folks enjoyed it. Anyway, pics of the goods coming up next. J-Pa goes it alone at Johnny T's in Round Rock. Jason leads the way to Lockhart. Man-Up skateboard, bag, and mug on sale!! !